Europe is a beautiful place. It’s refreshing to see a different side of the world, to experience the customs, culture, food, places, and people. In 2011, my then-boyfriend (now husband), mother, and I took a vacation to England and Scotland. Here are some of my favorite shots. Westminster with The Elizabeth Tower (known as St. Stephen's Tower when the photo was taken in 2011) and of course the Great Bell, Big Ben. I've heard this three story pub can spill out into Leadenhall Market, but today it was quiet. Beautiful yellow blooms on The Flower Walk in Kensington Gardens, next to Hyde Park. Portal Stones at Avebury Henge Stone Circle - they're huge! They had to be 10 to 15 feet high. One of the hollows in LaCock Abbey, where Malfoy's "weasle scene" was filmed for Harry Potter. The gorgeous grounds of Alnwick Castle, not only brilliant historically, but also where many Philosopher's Stone scenes were filmed. A suspension bridge connecting the huge royal treehouse at Alnwick Castle. Hertford Bridge on New College Lane in Oxford, commonly referred to as the bridge of sighs, with the Sheldonian Theater poking in the background, bottom left. An adorable little florist shop under a bridge. 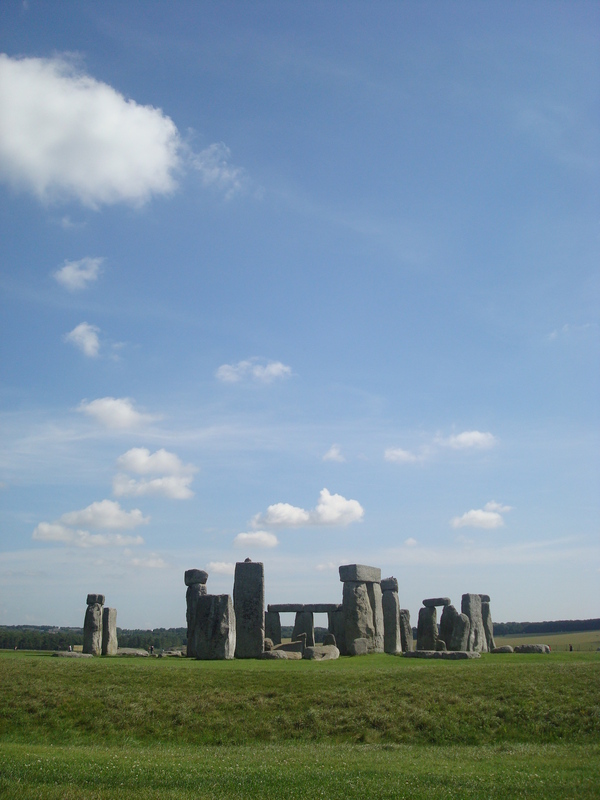 Everyone takes photos of Stonehenge, but what do those big, beautiful bluestones get to look at everyday? This. Glorious 11pm sunset over Loch Leven, just outside of The Isles of Glencoe hotel. Beyond the Ballachulish Bridge is Loch Linnhe. Another photo taken of the landscape between Glasgow and Glencoe. Possibly Loch Lomund although not certain, taken somewhere between Glasgow and Glencoe. Steall Falls in Fort William, Highland. A phenomenal hike to get up to this beautiful waterfall. Lounging in the fields of Scotland, sheep enjoy the morning. The halls of the Hogwarts train pulled by the Jacobite Engine in Mallaig. My mother on the Hogwarts train pulled by the Jacobite Engine in Mallaig. A magical vacation indeed! Beautiful! Love the photos from England. Thanks Mel! I would love to go back someday.